At the heart of Westkin Associates service is the desire to bring people together. Our qualified immigration solicitors can assist you throughout your visa application. 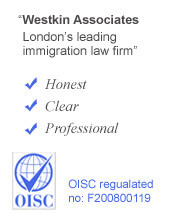 With over 15 years exeperience Westkin Associates’ team of OISC regulated immigration solicitors have the knoweldge, experience and proficency to guide you through every part of your application process. Contact us today on 0207 118 7868, via email on info@westkin.co.uk or via the enquiry box to the right hand side of this page and see what we can do for you today! This page documents a rough outlin for the various different categories that are subject to applying for an Unmarried Partner visa. If you have any questions do not hestitate to contact ourselves today using the information provided in the above paragraph. It is allowed for a person who is not married or in a civil relationship to join a partner who is settled in the UK, if both partners meet certain conditions. In this relationship, the sponsor is the person with whom the applicant is in a relationship with and intends to continue living with. An EEA national residing or intending to reside in the UK can sponsor the application for a family permit of their partner. This partner will then have to give proof that he/she is in a durable relationship with the EEA national. Unmarried partners of diplomats are not covered by the benefits and immunities of diplomatic relations, but are exempt from some of the general rules. One of them is that they will not need to prove that they have been living together for two years, but they will have to prove that the relationship is recognised as durable by the sending state, is akin to marriage and they intend to live together in the UK for the duration of the mission. The sponsor must be physically present and settled in the UK in order to qualify, or will be coming to the UK with the applicant in order to make their home in the UK if the application has been successful. The sponsor is allowed to travel abroad occasionally and temporary. Sponsors may be UK citizens, but if they have been living abroad, they will have to prove an intention to reside in the UK again. Both the sponsor and the applicant must be over 18 years old in order to apply. The couple will have to provide evidence that they intend to live together in a durable relationship. They can prove this by showing evidence of joint bank accounts, official correspondence linking partners to the same address, etc. Both parties may be questioned by the ECO; if it is clear that the sponsor is not willing to stay or live elsewhere with the applicant if he/she is refused, the ECO will examine the reason for this, but this does not necessarily mean that the application will be refused. If the sponsor is willing to move with the applicant, the ECO will consider the intention to live together to be proven. The ECO will also take into account if the couple has agreed on a place to live and who has made this decision. If one of the partners has previously been in another durable relationship, this person will have to prove that this previous relationship has permanently been broken down. This can be shown with a death certificate of the late spouse or civil partner or a divorce or dissolution certificate. The applicant may have to demonstrate knowledge of language and life in the UK. The applicant has a full right to appeal in case the decision was negative. 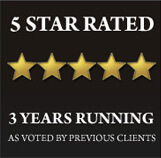 Our OISC regulated immigration solicitors can assist you if you case goes to appeal. For more information on the Unmarried partner applications or appeals contact our immigration solicitors on 0207 118 7868, via email on info@westkin.co.uk or through the enquiry box on the right hand side of this page.